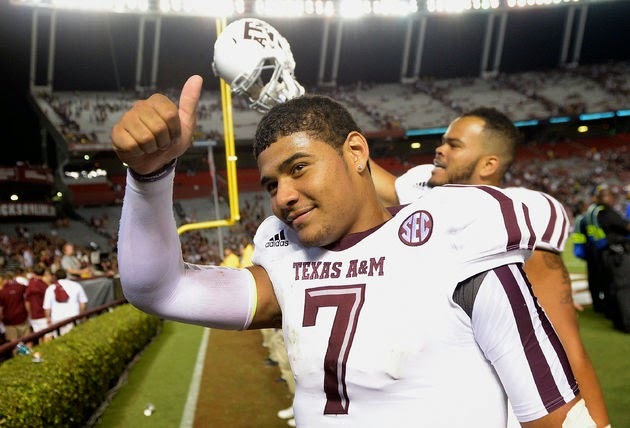 Shirts With Random Triangles: Kenny Hill barred from taking photos with fans by Texas A&M head coach Kevin Sumlin. Kenny Hill said Sumlin has told him 'no pictures' anytime, anywhere with fans, so he politely declines requests. He said fans understand. Sumlin has been a notorious control freak at TAMU, famously barring freshman from speaking to the media and curtailing media access to Manziel last season. Though after some Manziel's antics when out of Sumlin's control, who can blame him?